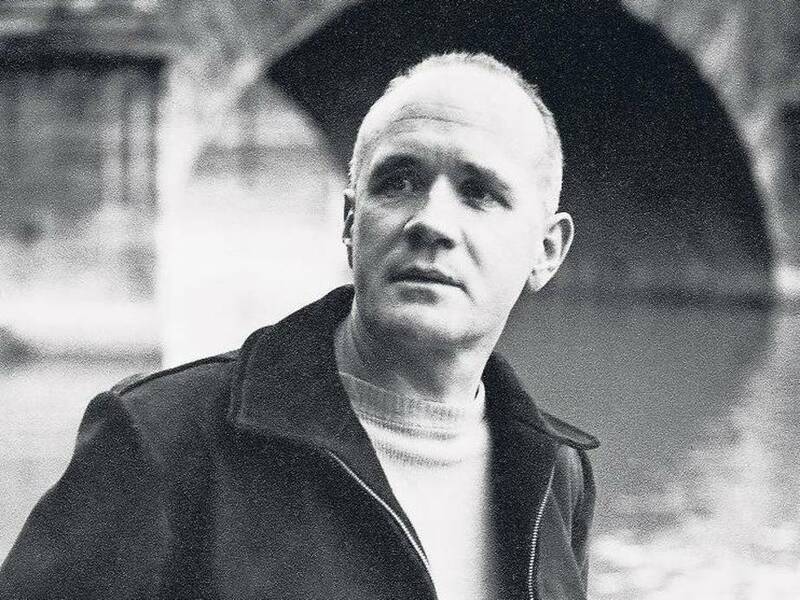 JEAN GENET, French writer born (d. 1986); A prominent and controversial French writer and later political activist early in his life he was a vagabond and petty criminal, Later in life, Genet wrote novels, plays, poems, and essays, including Querelle de Brest, The Thief’s Journal, Our Lady of the Flowers, The Balcony, The Blacks and The Maids. His explicit and often deliberately provocative portrayal of homosexuality and criminality was such that by the early 1950s his work was banned in the United States. Sartre wrote a long analysis of Genet’s existential development (from vagrant to writer) entitled Saint Genet comédien et martyr (1952) which was anonymously published as the first volume of Genet’s complete works. Genet was strongly affected by Sartre’s analysis and did not write for the next five years. Between 1955 and 1961 Genet wrote three more plays as well as an essay called “What Remains of a Rembrandt Torn Into Four Equal Pieces and Flushed Down the Toilet“, on which hinged Jacques Derrida’s analysis of Genet in his seminal work “Glas”. During this time he became emotionally attached to Abdallah, a tightrope walker. However, following a number of accidents and Abdallah’s suicide in 1964, Genet entered a period of depression, even attempting suicide himself. From the late 1960s, starting with a homage to Daniel Cohn-Bendit after the events of May 1968, Genet became politically active. He participated in demonstrations drawing attention to the living conditions of immigrants in France. In `970 the Black Panthers invited him to the USA where he stayed for three months giving lectures, attending the trial of their leader, Huey Newton, and publishing articles in their journals. Later the same year he spent six months in Palestinian refugee camps, secretly meeting Yasser Arafat near Amman. Profoundly moved by his experiences in Jordan and the USA, Genet wrote a final lengthy memoir about his experiences, A Prisoner of Love, which would be published posthumously. Genet also supported Angela Davis and George Jackson, as well as Michel Foucault and Daniel Defert’s Prison Information Group. He worked with Foucault and Sartre to protest police brutality against Algerians in Paris, a problem persisting since the Algerian War of Independence, when beaten bodies were to be found floating in the Seine. In September 1982 Genet was in Beirut when the massacres took place in the Palestinian camps of Sabra and Shatila. In response, Genet published “Quatre heures à Chatila” (Four Hours in Shatila), an account of his visit to Shatila after the event. In one of his rare public appearances during the later period of his life, at the invitation of Austrian philosopher Hans Köchler he read from his work during the inauguration of an exhibition on the massacre of Sabra and Shatila organized by the International Progress Organization in Vienna, Austria, in December 1983. Genet developed throat cancer and was found dead on April 15, 1986 in a hotel room in Paris. Genet may have fallen on the floor and fatally hit his head. He is buried in the Spanish Cemetery in Larache, Morocco.